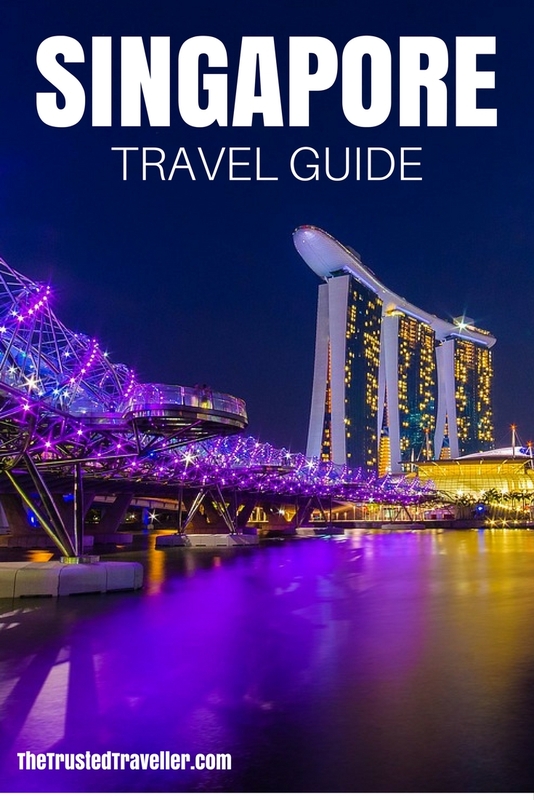 This Singapore Travel Guide aims to provide you with simple and stress-free travel planning information and inspiration for planning a trip to Singapore. Currency: S$ Singapore dollars which is made up of 100 cents. Coins come in 1c, 5c, 10c, 20c, 50c and $1 denominations and notes in S$2, S$5, S$10, S$50, S$100, S$500, S$1000 and S$10000 denominations. Electricity: 230 volts AC, 50Hz. British-style plugs with three square pins are standard. Outlets for 110 volts for small appliances can be found in most hotels. 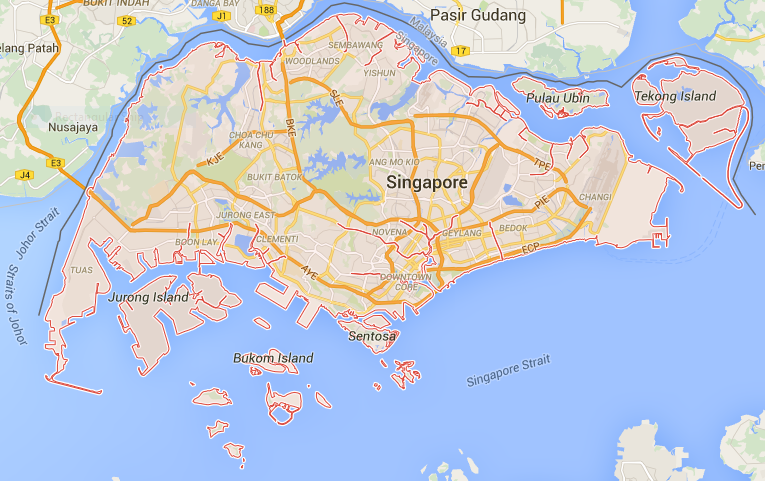 Singapore is an island located off the southern end of the Malaysian Peninsula. It is separated from Malaysia by only the 1 km wide Johor Strait. As well as the main island, Singapore also has 60 odd other outlaying islands that make up the country. The majority of the main island is flat with a few low hills (less than 200m). Most of the land is made up of the urban district with a few jungle and swamp areas still existing from the time before the country’s major development. Because of its location just north of the equator, Singapore has a tropical climate with hot and humid weather all year round. The average temperature throughout the year is around 30°c during the day and it rarely ever dips below 20°c at night. Being tropical year round means that rainfall happens pretty much everyday with the Southwest Monsoon from May to September and the Northeast Monsoon from December to March being slightly more rain than the shoulder seasons. With the climate being pretty much the same year round, there really is no good or bad times of the year to visit. Visitor numbers are steady throughout the year with peaks around important festivals such as Chinese New Year, The Lantern Festival and when Formula One racing is in town. It is always recommended to have a mixture of cash and bank/credit card with you when you travel anywhere in the world and this is no exception in Singapore. ATM’s found in all over Singapore. As well, credit cards are widely accepted although some establishments such as small hotels and shops may only accept cash. Singapore is well-connected to the rest of the world by air with flights arriving in Singapore’s Changi Airport from all across the world. 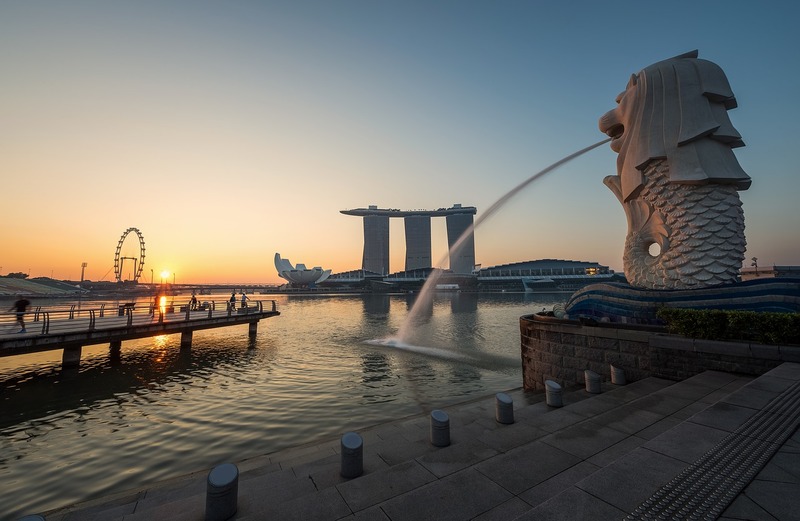 A flight from London to Singapore will take around 14 hours, from Sydney to Singapore around eight hours and a flight from Los Angeles to Singapore about 15 hours. 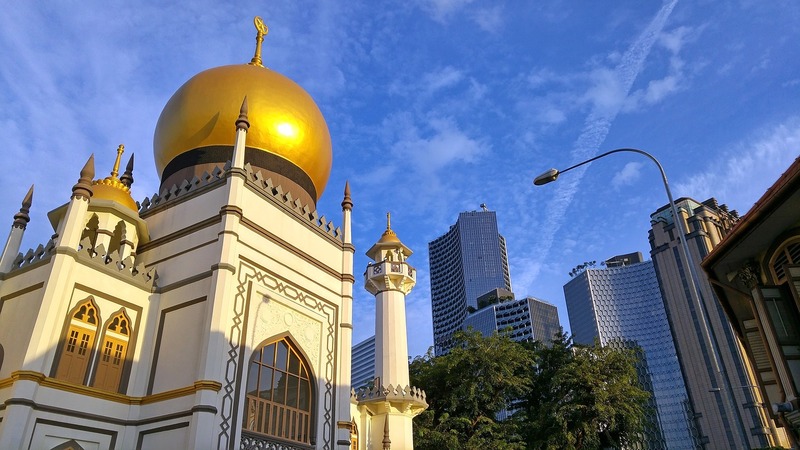 If you are coming from Malaysia it is also possible to arrive by train or bus. There are two train lines run by Malaysian Railway, one from Johor Bahru and Kuala Lumpur and the other which runs through the centre of Malaysia from north to south. Buses make similar stops as the train and can sometimes to quicker because the train station in Singapore is a fair way out from the city. Singapore is a small country with very efficient public transport. 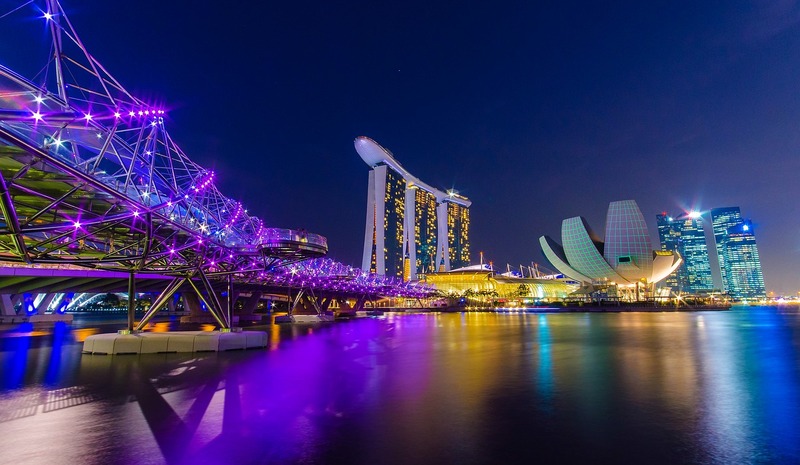 Add to this the fact that most of what you will want to see and do is close together, you will find Singapore a very easy place to get around. 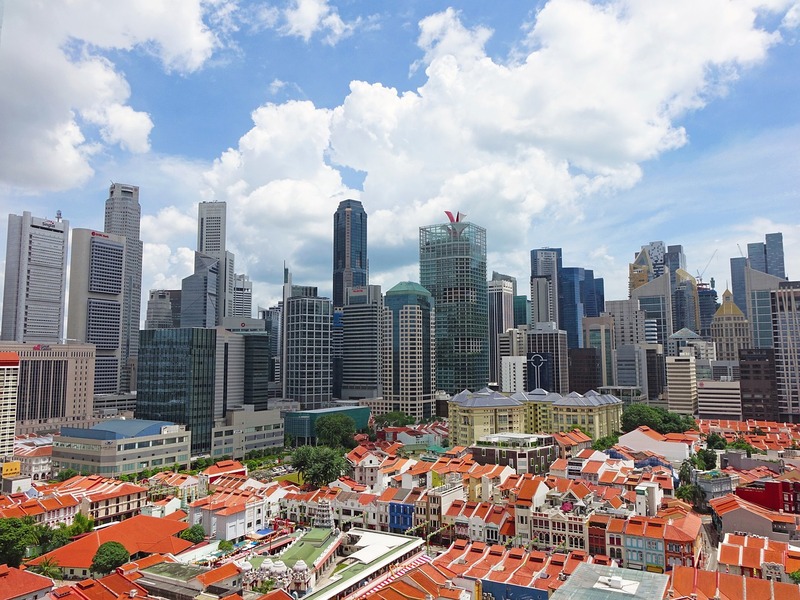 Singapore’s MRT system connects most of the areas visitors will want to visit including downtown, waterfront areas and the airport. It is fast, efficient, clean, safe, easy to use and cost effective, ticking all of the boxes. I don’t usually recommend taxis in my guides because they are usually expensive, however in Singapore they are cheap and readily available. Taxis can be picked up at your hotel, from official taxi ranks around the city and by flagging them down on the street. They are metered and sometimes have additional surcharges. Some drivers will allow you to negotiate a fare for longer journey’s and tours. Singapore has two main bus operators that cover pretty much the entire island, SMRT and SBS. Bus travel is cheap, efficient, safe and clean. Tickets can be purchased on-board with exact change or you can purchase a Tourist Pass or EZ-Link ticket from local retailers for multiple journey’s. Singapore has excellent roads and traffic is good when compared with other Asian cities. However, with excellent public transport and cheap taxis, it doesn’t make sense for visitors to rent a car. Scenic tour boats will take you along the river and out into the harbour from both Clarke and Boat Quays. To access the Southern Islands, head to the Marina South Pier. 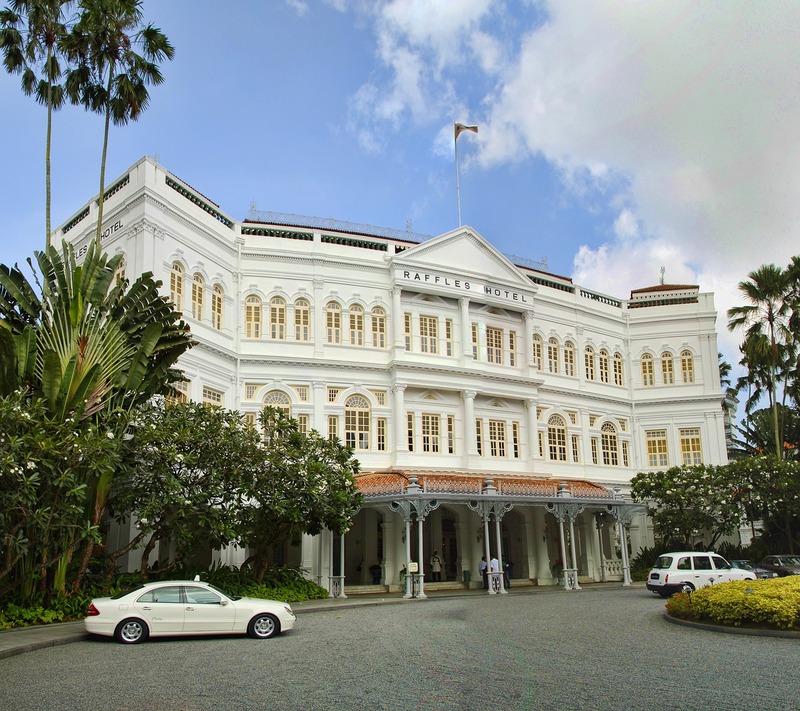 Hostels – Hostels have become more popular in Singapore over the last few years with budget travellers looking for a cheaper way to visit this relatively expensive place. The level of cleanliness in Singapore is well above average so you will likely find your room and shared bathroom to be super clean. B&B’s/Pensions – Small family run style accommodation like B&B’s or pensions can be found all over Singapore and on the islands. Accommodation is simple yet comfortable and the experience usually comes with friendly hosts and a home cooked breakfast each morning. Hotels/Apartments – You will find both chain hotel/apartments brands and independent hotel/apartments to be in abundance in Singapore. The good thing about this type of accommodation is in most cases you know what you are going to get, a clean, comfortable and modern room with a decent array of facilities in the room and on the property. Apartments are great for longer stays as they allow you a bit more space and the option to self-cater. 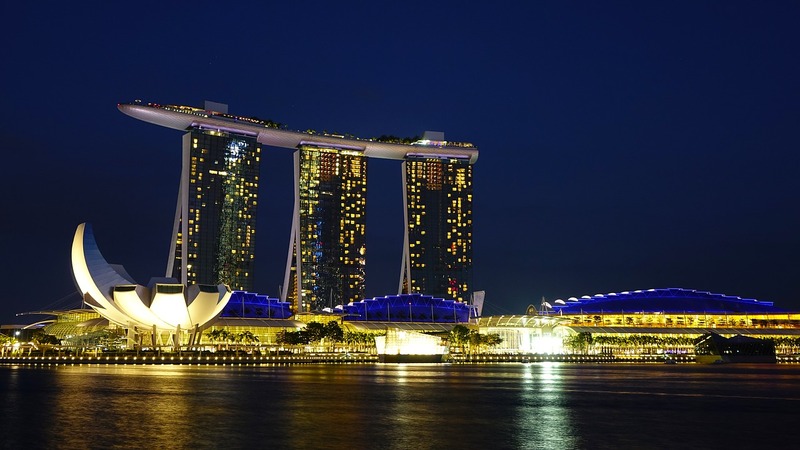 Luxury Hotels & Resorts – Singapore has more than its fair share of 5-star properties, some of which have been named in top lists of accommodation around the world. These will offer you brilliant service and a top location, sometime with incredible views of the surrounding area. 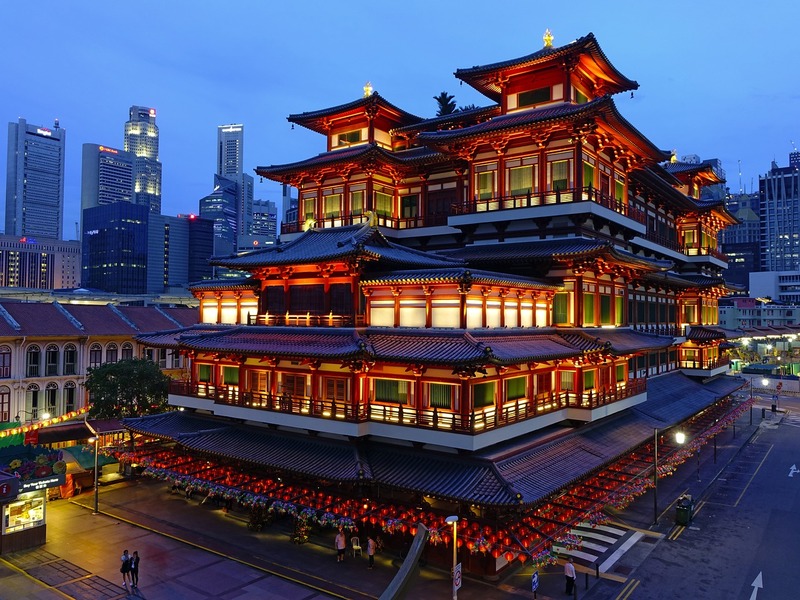 Singapore has a variety of eating options that will suit all budgets and tastes. The most common cuisines you will find are Malay, Chinese and Indian. But Singapore is hugely multicultural when it comes to food, so you will find cuisine from all over the world done to perfection. Fast Food / Take-away – Chain fast food stores are in all major centres of the country and along highways as well. If you’re looking for a cheap and tasty fast food meal, look to where the locals are. Hawker Centres – Dining areas where you will find some of the best street food in the world. Cheap, fresh and delicious! Cafes – They love cafes in Singapore and you will find both chain and quirky cafes all around Singapore. Coffee, delicious sweets and tasty savoury snacks will be on offer for sit down or takeaway. Restaurants – You will find restaurants in every cuisine imaginable. Restaurant precincts, like Clarke and Boat Quays are very popular places to find a good meal and even a bit of dessert too! Fine Dining – Singapore has its fair share of the world’s best restaurants so if it is fine dining experiences you are after then you won’t be disappointed. 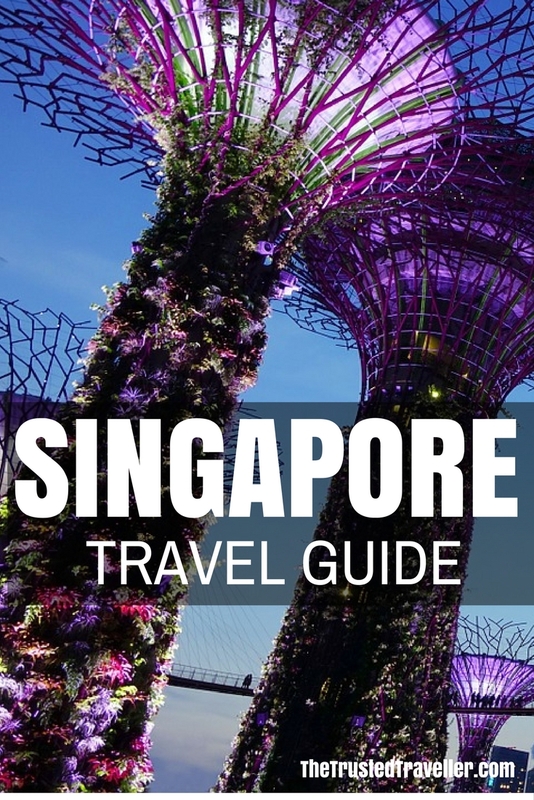 Here is a constantly growing collection of resources from around the web to help you plan you dream trip to Singapore. The official Singapore Tourism website is a great place to start planning your trip. 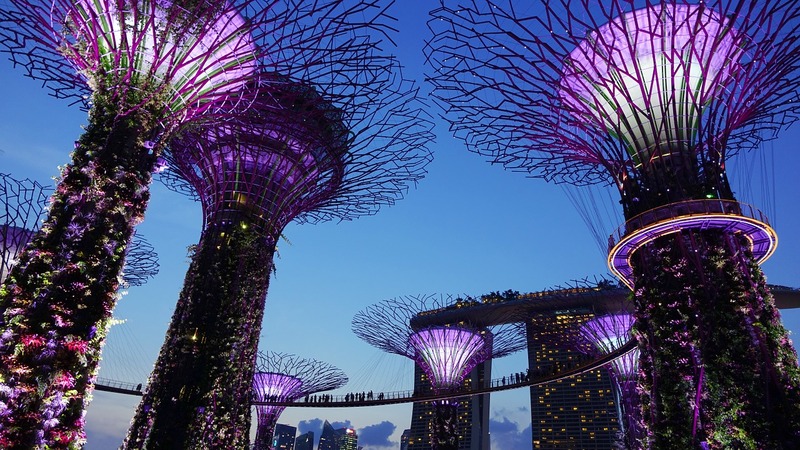 The authority in all things travel, Lonely Planet has an extensive section all about Singapore. Or why not buy the Singapore Lonely Planet Guidebook in hard copy or as an eBook. 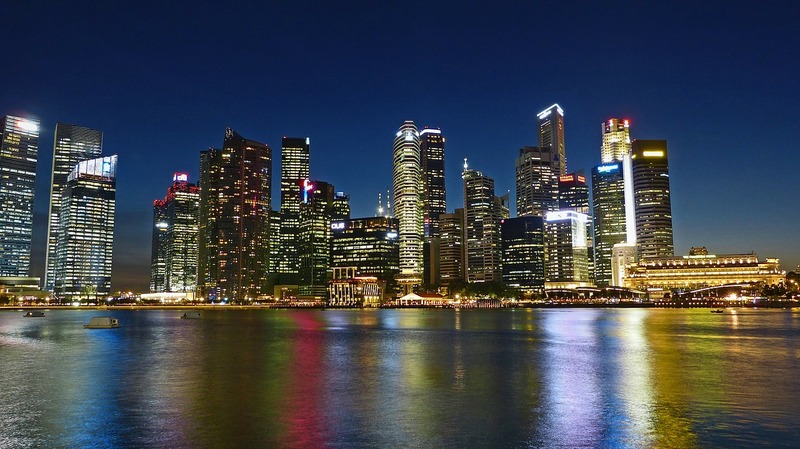 Jaclynn, The Occasional Traveller, lives in Singapore and along with writing about her travel around the world, also focuses a lot on everything there is to see and do in Singapore.